Macquarie/First Trust Global Infrastructure/Utilities Dividend & Income Fund (the "Fund") (NYSE:MFD) has declared the Fund's regularly scheduled quarterly distribution of $0.30 per share. The distribution will be payable on December 3, 2018, to shareholders of record as of November 23, 2018. 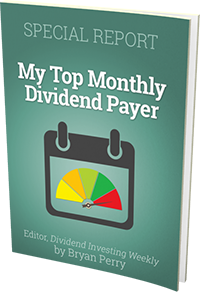 The ex-dividend date is expected to be November 21, 2018. The quarterly distribution information for the Fund appears below. First Trust Advisors L.P. ("FTA") is a federally registered investment advisor and serves as the Fund's investment advisor. FTA and its affiliate First Trust Portfolios L.P. ("FTP"), a FINRA registered broker-dealer, are privately-held companies that provide a variety of investment services. FTA has collective assets under management or supervision of approximately $123 billion as of October 31, 2018 through unit investment trusts, exchange-traded funds, closed-end funds, mutual funds and separate managed accounts. FTA is the supervisor of the First Trust unit investment trusts, while FTP is the sponsor. FTP is also a distributor of mutual fund shares and exchange-traded fund creation units. FTA and FTP are based in Wheaton, Illinois. Macquarie Capital Investment Management LLC ("MCIM") and Four Corners Capital Management, LLC ("Four Corners") are the Fund's investment sub-advisors. Both MCIM and Four Corners operate within Macquarie Asset Management ("MAM") and are wholly-owned, indirect subsidiaries of Macquarie Group Limited ("Macquarie Group"). Macquarie Group is a global provider of banking, financial, advisory, investment and funds management services. MAM is the global investment management business of Macquarie Group. The Fund's Core Component, which consists primarily of equity securities and equity-like securities issued by infrastructure issuers, is managed by MCIM, which started operations in 2004 with the launch of the Fund. MCIM and its Australia-based affiliates managed approximately $2.9 billion of assets as of July 31, 2018, in MAM's Infrastructure Securities portfolios, which includes the Fund. The Fund's Senior Loan Component is managed by Four Corners. Four Corners was founded in 2001 and became a wholly-owned, indirect subsidiary of Macquarie Group in 2008. Four Corners managed approximately $1.3 billion of assets as of September 30, 2018, with an emphasis on Senior Loans.